From left to right: Trish Baumann, Reed Bjerk, RibBest organizer Becky Rantanen and Curt Seter, development officer with Hospice of the Red River Valley. 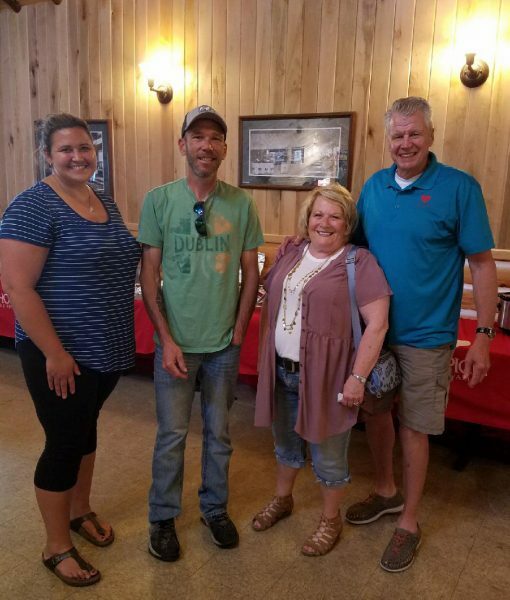 The third annual RibBest rib competition and potluck was held May 26 at Pinehurst Resort in Naytahwaush, Minn., and raised more than $1,400 for Hospice of the Red River Valley. The funds will be used to help provide hospice care in Naytahwaush and the surrounding area. There were 10 entrants in this year’s competition. Reed Bjerk won first place, and Trish Baumann took second place. The event has raised $4,180.91 through three years.